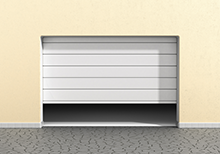 Is your garage door jammed? Delaying repairs since a while? Garage doors require instant attention. These doors go through intense wear and tear and show signs of decay, cracks, rust and loss in spring elasticity resulting in a dysfunctional garage door. Crashing doors are also very common, this happens mainly due to broken cables, sudden release of broken spring and wrong force settings. Such incidents can cause great damage to property as well as people around. Our team of professionals regularly sends on cautionary messages and invitations for checks of garage doors to avoid major mishaps. Technical know-how and proficiency honed over decades of work make us perfect professionals for affordable and quality replacements and repairs for your doors in Nashville, TN area. A layman will not understand the complicated mechanics behind a fully operational garage door. The mechanical components coupled with installation of apt torsion springs involves minute detailing that only professionals are capable of handling. An inexperience eye will never be able to understand and notice the wear and tear that the door has undergone. 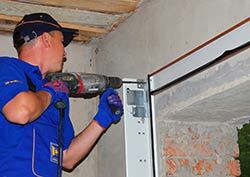 Regular checks and maintenance of the garage door is a must for them to operate at optimum condition. Just one look and our garage door experts would be able to identify which components needs to be replaced or which new technology could fit the requirement better! Trust Garage Door’s team will reach your location on receiving the call. They will come, inspect, and analyze every component and discover the weak parts and components of the door. Based on these observations they will decide on what solutions could best suit the purpose and the current state of the garage door. Once they decide on the solution they will execute the resolution in a time-bound manner. In an attempt to fix the current situation they will also make sure they try to increase the longevity of the garage door, just so that you do not have to call us again. Doors can get damaged due to weather conditions and physical tolls on the door may reduce its operability. Damaged caused due to accidents while driving the car in and out can also reduce the longevity of the door. Our experts help you mend damaged doors and even replace them. Irrespective of your location in Nashville,we make sure our team reaches as soon as you call them and offer you the best 24/7 garage door service. 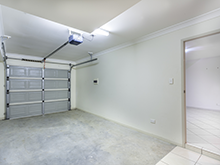 Most of our clients, residential or commercial often get very irritated when faced with an off-track garage door. Garage doors can go off-track due to many reasons; cable spring breakage, changing weather patterns and even temperature variations. To avoid such situations call us the moment you see signs of your door going off-track. Many of our clients try to stop the garage door from going off-track but it often results in injury to the client as the doors are heavy, weighing up several hundred pounds at times. Do not try stunts with garage doors to save a little money. Call Trust Garage Door, the best garage door company in Nashville, TN area and rest assured!